Why Support Dayspring Christian Academy? Why Support Dayspring Christian Academy? Two of my children graduated from Dayspring, having started in second and fifth grade. The partnership between our family and the school was invaluable. Academically, the rigor and high expectations kept my children challenged. They were taught to reason and write, and to speak publicly, which prepared them for college and, ultimately, their careers. Beyond that, when we sent our children to Dayspring we were new believers and relatively new to the Bible. What we found was biblical principles were infused into every subject…even math! Not only did my children learn with every class, every year, that there is no separation from God and the concepts they were learning, my husband and I were learning it too. Dayspring was an integral part of our growth as Christians. 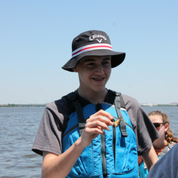 At Dayspring Christian Academy, seeds of truth are sown into hearts through lessons taught in classrooms and through field studies that take our students from Plymouth Rock to the rocky shores of the Sea of Galilee. 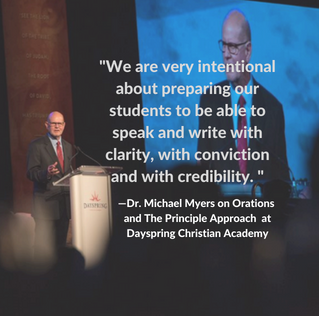 The oration process is tangible fruit of Dayspring’s aspiration to teach children to reason from Scripture and relate what they have learned with poise and eloquence. Dayspring recognizes that we are a part of a larger community. 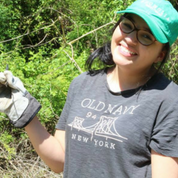 While service opportunities exist inside our school, students are also encouraged to participate in service outside the classroom. Dayspring partners with Cairn University in order to offer students the opportunity to begin to build their college transcript while completing high school. 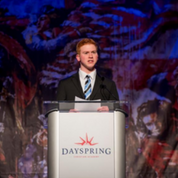 Dayspring Christian Academy is raising the next generation of leaders to restore America to its Christian purpose. Dayspring is one of 25 Principle Approach schools in America that educate children by using the method of education prevalent during the founding era of our nation. Will you help us raise the next generation of leaders who will use biblical principles to restore our country? 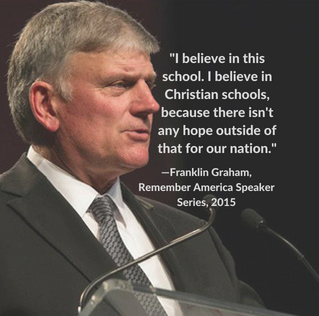 There are many ways that you, as a friend of Dayspring Christian Academy, can support our school and mission to restore America to her biblical foundation. 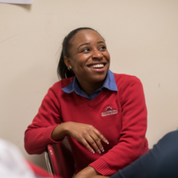 From gifts of cash to gifts of stock, there are many ways your gift to Dayspring can go beyond the classrooms of today, to reach the next generation of leaders. Dayspring Christian Academy’s mission is a choice to educate our children in a way that honors God and that teaches students to think and reason from God’s Word. This important work is carried forward through our dedicated business partners. Opportunities exist for businesses to receive tax credits through these PA Tax Credit programs and Dayspring is an approved EITC/OSTC scholarship organization and participating school. A giving circle is where donors pool their gifts to make a bigger impact than just one gift could have! 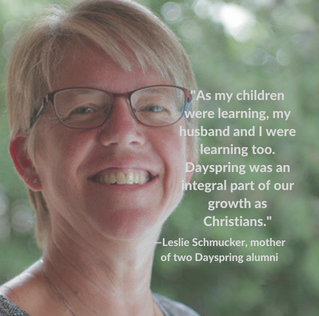 Dayspring has developed a special program called the Women’s Giving Circle which funds specific projects, typically unbudgeted, within the school. Planned giving integrates your personal planning goals with your charitable giving goals. In so doing, you create opportunities for charitable giving in circumstances that may not otherwise enable you to make an impact. Planned giving offers great flexibility through the many giving options available. Dayspring Christian Academy wants you to be confident in your charitable giving. A copy of the official registration and financial information may be obtained from the Pennsylvania Department of State by calling toll-free within Pennsylvania, 1-800-732-0999. Registration does not imply endorsement.